In the 21st century, more and more healthcare professionals – including nurses -- are finding ways to work from home. If you’d like to work in your pajamas, spend the day with your dog or cat, or otherwise be free to have the shortest commute possible (namely from your bedroom to your laptop), it’s possible to create a new career path that keeps you homebound in the best way possible. What’s So Great About Working From Home, Anyway? If you’re the kind of nurse who may be tired of the rat race, long shifts, and elongated commuting times, working from home may seem quite attractive. Getting up in the morning, making coffee, and sitting on your living room couch as you begin the work day may seem like a little slice of nursing heaven. You can, as mentioned above, work in your most comfortable clothes. Your work station can be your bed, couch, dining room table, or even your front porch. If you have animals, they’ll enjoy your company as much as you enjoy theirs. You won’t have to interact with colleagues (face-to-face, anyway). Your commute will, of course, be much easier! Meal breaks happen in your own kitchen, not the cafeteria or nurses’ station (if you’ve ever had the opportunity to eat a proper meal at work, that is). There’s no one physically looking over your shoulder (just virtually). You can make time for important personal calls that need to be placed during business hours. Speaking of hours, you’ll likely be able to sleep in your own bed every night like other people. You can putter around the house or garden on breaks and get little things done that would normally be reserved for your days off from a regular job. You may sometimes feel isolated or lonely. If you have small children, they may interrupt your work. Not having colleagues physically on hand could be a detractor if you enjoy and learn from those common interactions. You’ll probably spend a lot of time on the phone. Your computer may end up feeling like an extra limb that you can’t ignore or amputate. If your neighbors or friends hear you’re home all the time, they may bother you more than you’d like. 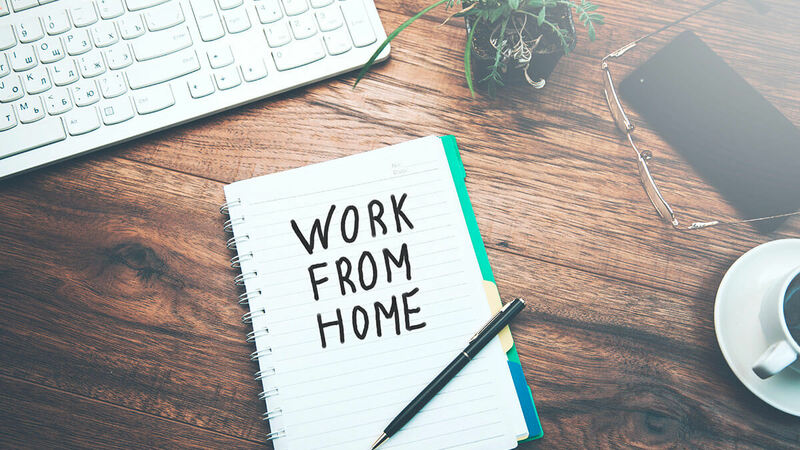 No matter the challenges, many nurses who work from home are still quite pleased with the inherent trade-offs of not being in the normal workaday world. There are any number of valid and well-paid nursing jobs that can be done from the comfort of your home. Most will require a computer and a phone, both of which may very likely be provided by your employer. Insurance case/care management: You may follow a regular cohort of patients with the same diagnoses, or you may have a more heterogenous group of clients to follow. This may involve health coaching, motivational interviewing, patient education, care coordination, and follow up. Utilization review/quality improvement:You may work for an organization responsible for utilization review for various types of facilities. Telehealth:This can entail telephone triage, a nurse advice line, etc. Genetics Nurse Consultant: For companies providing genetic testing, nurses may be needed to help explain test results to patients/consumers. Patient Care Coordinator: Such positions may be quite similar to that of an insurance care/case manager. Nurse entrepreneur: Some nurses choose to start their own businesses as freelance writers, consultants, health coaches, educators, legal nurse consultants, expert witnesses, etc. Auto injury consultant: Certain positions entail nurses providing “translation” of medical terminology for auto accident victims and insurance companies. Medical Reviewer Nurse: In such a position, you may review medical and billing records in order to ascertain the appropriateness of care. Nurse Exam Writer: You provide services related to creating challenging questions for various types of nursing certifications and other types of exams. Working from home as a registered nurse isn’t for everyone, but it may be perfect for you. Do your due diligence, network assiduously, and reach out to nurses who are already engaged in such work, or have done it in the past. Ask questions and explore your many potential options for home-based work. Consider the good and the bad of working from home, including the potential for social isolation. If you’re an introvert, this type of employment may be perfect for your personality. If you’re an extrovert who gets lonely without face-to-face interaction, it may not be as good of a fit. Remember that working from your own home has its ups and downs, and what’s heaven for one nurse may be a nightmare for another. Know yourself and your needs, be curious, and you may find a position that opens a new career opportunity that you’d never considered before.